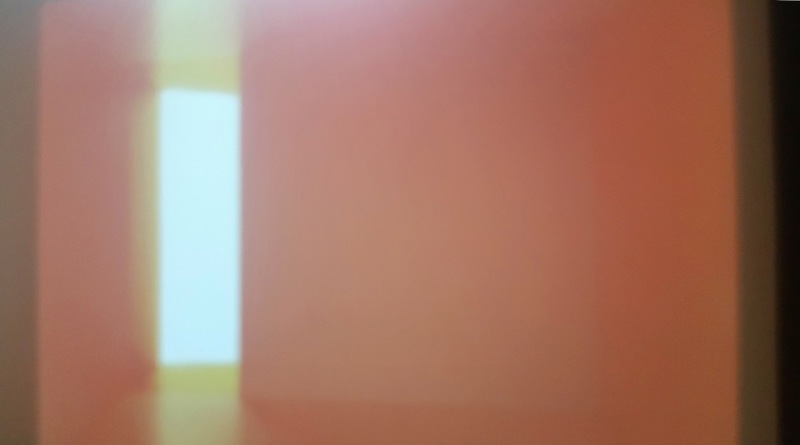 Two of the new summer exhibitions at the Institute for Contemporary Art in San Jose (ICA) are projection installations, Red Rooms by Amy M. Ho and Naomie Kremer’s projections on canvases from her exhibition Age of Entanglement. The two examine the viewer’s perception and reaction to imagery and color as they shift from still into time-based work and from matter to light. Red Rooms, by San Francisco Bay Area photographer Amy M. Ho is a two-channel video. Projected on two opposite gallery walls, the image envelops the viewer within the projected work. 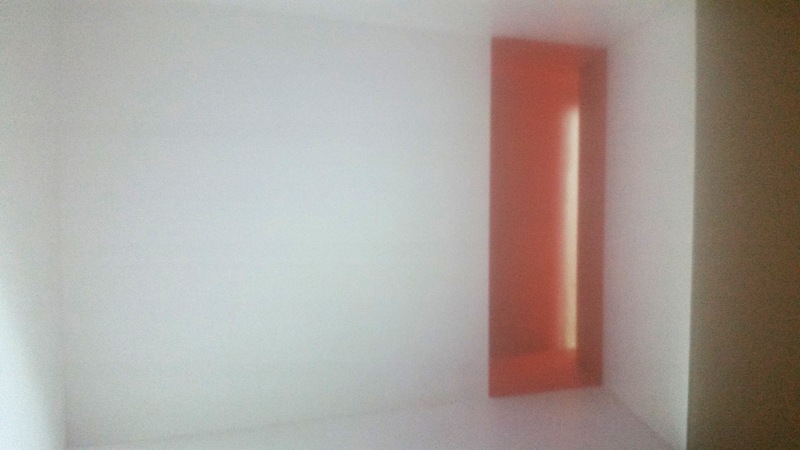 Ho uses her video to create a crimson architectural interior from a miniature model that she photographed from two complementary angles, creating effects of light and shade. While the work extends the gallery cube space into a realistic room with a window or a door, the projected warm red colors are sensual, creating an emotional awareness of the space. Ho writes that her “work strives to make us actually feel the world around us”. Ho intends for her audience to take the time observing the work. Surrounded by warm red color, the viewer’s perception of the work shifts from the original intension of the hyper-realistic 3D architectural interior into seeing it as flat abstract geometries. Ho achieves this transformation by choosing projected video as her medium. Instead of a photographic print, the luminous display is a virtual time-base image. Through this medium, Ho relates not only to perceptions and emotions, but connects the work to art history. In her monochromatic approach, she relates her work to earlier Minimalist investigation of color and light by artists like Joseph Albers and Robert Irwin. The power of the work is in the tension of contradiction between the referred material model, in which the colors are created by material paint and the ephemeral nature of the light that Ho produces. In a series of works on the opposite gallery space, Naomie Kremer, a veteran Bay Area painter, demonstrates an actual media mixing, as she projects videos onto her painted canvases. Kremer, who has been using video as part of her practice since 2000, is adding a time-based component to her work. In Walkabout, a Lyrical-Abstract piece, Kremer constructs an imaginary landscape from her medium sized gestural strokes that have become her recognized mark. She builds up a scene of imaginary inclines that funnel steeply towards the viewers reminiscent of abstract expressionists like Ernst Ludwig Kirchner. 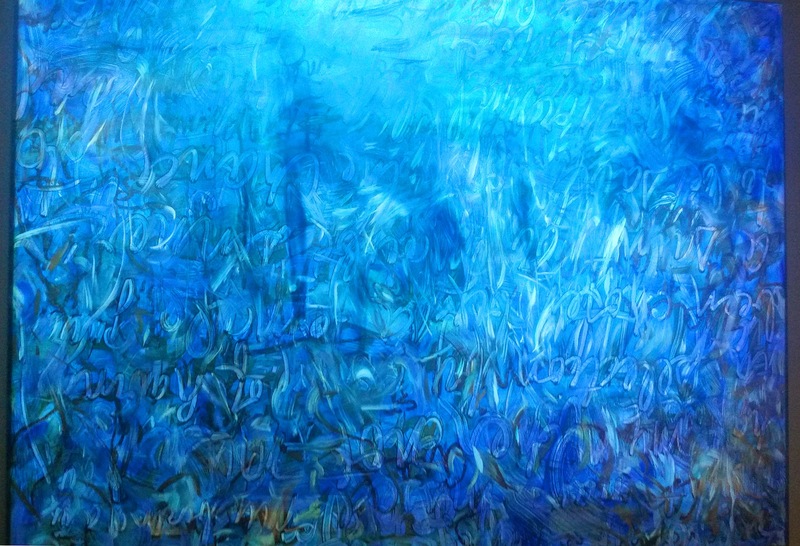 Chance Operations is another layered painting in which Kremer paints a hand written text on top of an abstract composition of her bluish expressive strokes. Here too, a video projected on the painting adds to the work a layer of light, which blinks across the surface and the script letters. This projection becomes narrative for a moment when the silhouette of the artist painting the work appears in the video. 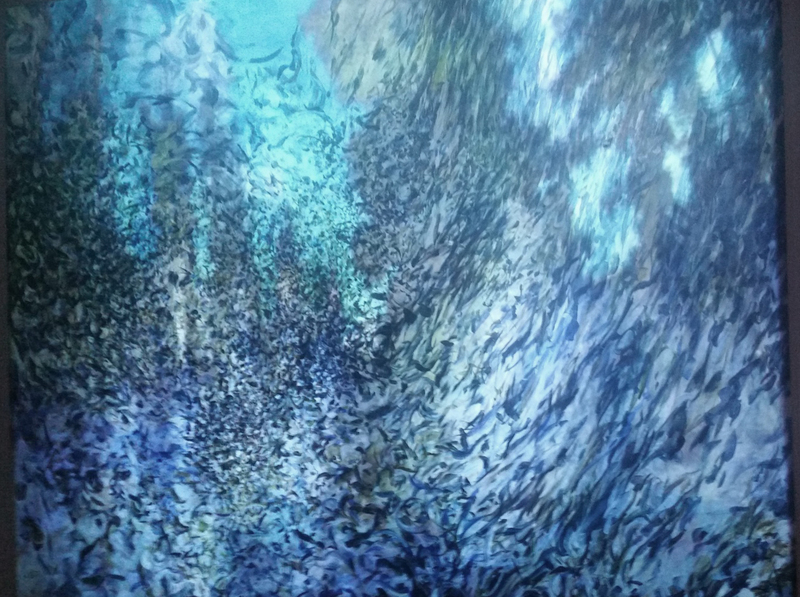 Kremer changes her viewer’s perception of her painting. She creates tension in her work by projecting her video directly onto the oil paint. As the video hits the surface, the image on the canvas appears glowing. The viewer’s eye attempts to decipher the video from the painting, the virtual from the material. This dichotomy of the moving light image and the still matter on the same substrate creates dynamics on the painting surface. The mostly non-narrative nature of her projection does not control the viewer attention but allows for a view that is free and unstructured. Kremer gives new stratum to her familiar style as the viewer is entangled between the time-based progression and the still oil painting underneath. She does not just add a layer of light to her work but also makes it non-material and virtual. The new projections at the ICA exhibition capture attention in the seductive luminosity of Ho and Kremer’s works. Unlike other video works, here the time progression is not important. The two artists display their videos in relation to the material images that they originate from. Their strength is in the connection between the virtual and the material. Shifting in perception between light and matter is bewildering and at the same time makes us ponder about their nature and temporality. Through their contemplative approach, the two artists extract the ephemeral. Ho intends for an emotional reaction in her monochromatic reds while it is also associated with geometrical color-field theory and minimalism. Kremer’s work connects to both expressionism and lyrical abstraction. Rendering her gestural work with light and movement, she creates a direct connection between the two media in same space.